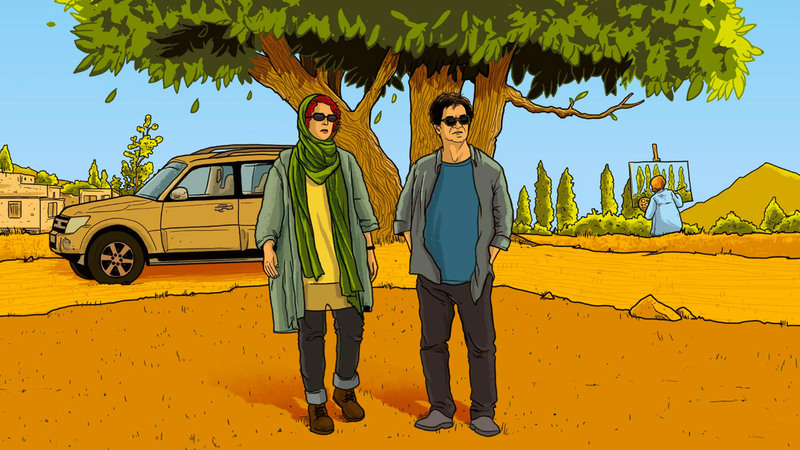 Iranian film '3 Faces' by Jafar Panahi is one among three new films open at the Irish Film Institute on the 29th of March 2019. Three new films open at the Irish Film Institute on the 29th of March 2019: Irish documentary The Man Who Wanted to Fly, drama At Eternity’s Gate starring Willem Dafoe as Vincent van Gogh and Iranian film 3 Faces. Since he was forbidden to engage in any filmmaking activities for 20 years after being arrested on charges of propaganda against the Iranian government, Jafar Panahi has found inspiration in his circumstances. Made through a variety of subterfuges, his productions This Is Not A Film (2011), Closed Curtain (2013), and Taxi Tehran (2015) have acted as multi-layered examinations of subject matter such as the contemporary Iranian state, the nature and motivations of government-sponsored censorship, and the value of art in society. 3 Faces also returns to a topic familiar to viewers of Panahi’s pre-2010 work, that of the status of women in Iranian society. fter receiving an apparent suicide note from a girl whose family oppose her decision to study drama, actress Behnaz Jafari (playing herself) and Panahi undertake to seek her out and to discover the truth of the matter.